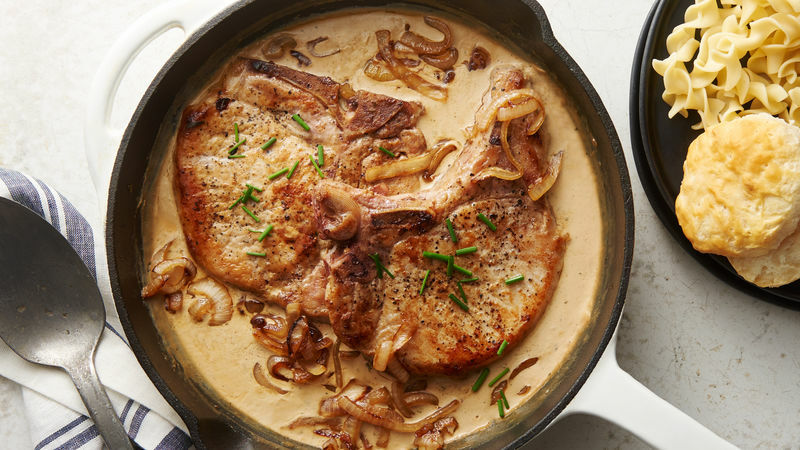 In 10-inch nonstick skillet, heat butter over medium-high heat. 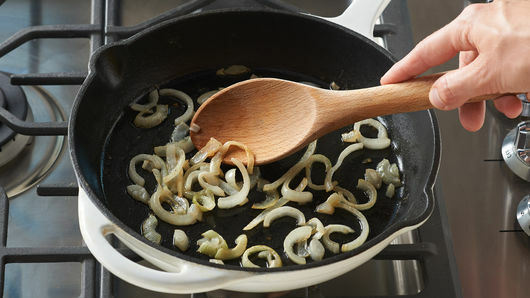 Add onion; cook 5 to 7 minutes, stirring frequently, until browned and tender. Transfer mixture to plate. Season pork chops with pepper. Add to same skillet; cook over medium-high heat 5 to 7 minutes, turning once, until browned (145°F). Remove from skillet to plate; cover and keep warm. 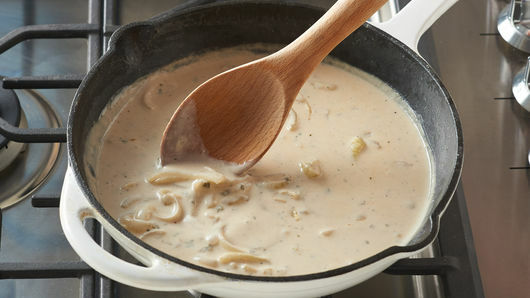 Add chicken broth, cream cheese spread, ranch seasoning and cooked onions to skillet. Cook 3 to 4 minutes, stirring frequently, until bubbly and slightly thickened. 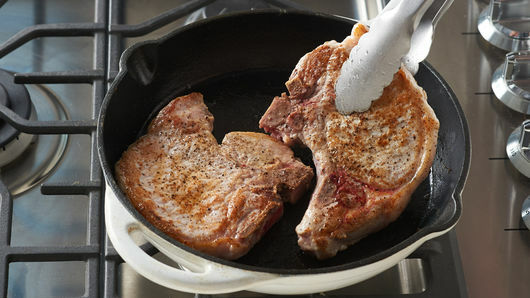 Add pork chops back to skillet; cook 2 to 3 minutes or until heated through. Cool 5 minutes before serving to allow sauce to thicken. Serve with egg noodles. Garnish with chopped chives. Chive & onion cream cheese spread is found in the refrigerated aisle near the regular cream cheese. Complete this meal with baked Pillsbury™ Grands!™ frozen Buttermilk biscuits and a fresh green salad, if you like.